Merina Varghese, Mr. Jacob John (Head Master), and Mr. Sean Kuruvila (teacher). 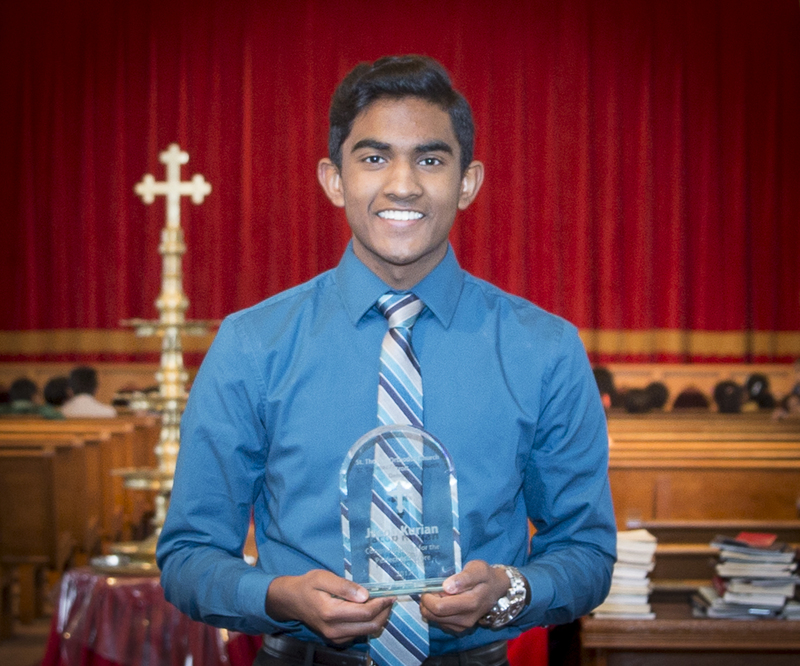 Jeremey Mathews and Reshna Ninan are other recipients (not pictured). 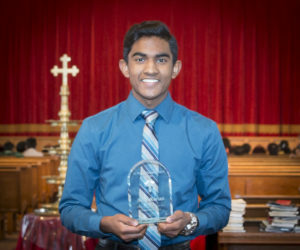 Merina Varghese is the First-Rank holder of 2017 twelfth grade diploma exam of Diocesan of Southwest Diocese, which is the highest honor a Sunday School student can receive. Pictured is Jacob Kurian who has received recognition from Rev. Fr. Philip Jacob who is the Vicar of St. Thomas Orthodox Church of India, Detroit for achieving perfect score in ACT while he has a good standing in Sunday School. It is with a sorrowful heart that I inform you of the passing of our member, Mr. N. G. Ninan. He is survived by his wife, Mrs. Sosamma Ninan and his children, Mrs. Annie Jacob and Mrs. Ancy Cherian. The burial will take place at Guardian Angel Cemetery (4701 N Rochester Rd, Rochester, MI 48306). It is with deepest regret we inform you of the passing of our Mrs. Thankamma Philip, Mother of Mrs. Omana Zachariah. There will be a memorial prayer held at the Zachariah residence, tonight, Friday 8/1/2014 at 7pm. It is with a sorrowful heart that we inform you of the passing of Mr. C. V. John, the father of our Member Mr. Abey C. John. Mr. C. V. John was a Managing Committee Member of the Kollam Diocese and a University Register at Mahatma Gandhi University. He passed away of age related issues at the age of 70. Mr. Abey John will be leaving for Kerala tomorrow and the funeral is scheduled for Saturday. It is with deep regret, we inform you about the demise of Mr. E.G Yohannan, Uncle of Mrs. Annamma George. Please keep the bereaving family in your prayers. Funeral will be at Kerala, India. 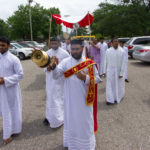 On July 6th and 7th, 2013, St. Thomas Orthodox Church of India, Warren celebrated its annual feast of its Patron Saint, St. Thomas the Apostle in addition to its 35th Church Perunal and Convention. 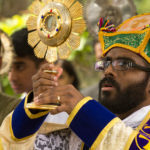 His Grace Dr. Abraham Mar Seraphim, Metropolitan of the Bengaluru Diocese, was the chief celebrant for the blessed weekend. 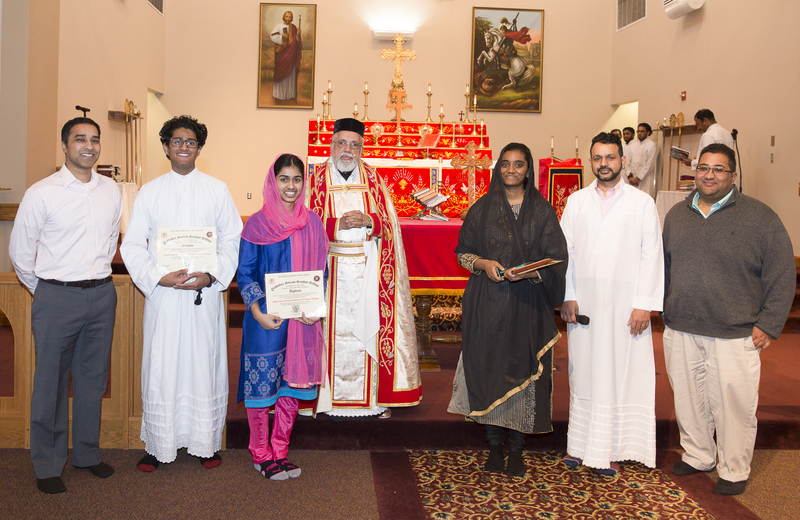 On Saturday, July 6th, the evening began with evening prayer followed with a devotional message by thirumeni. He reminded us of the importance of celebrating the feast of our Patron Saint each year. 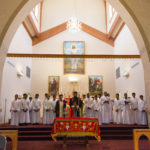 Thirumeni also taught us about the unique qualities of St. Thomas that are important to remember when celebrating his blessed feast. 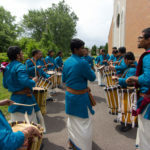 Following the devotional, members of the St. Thomas Chenda group performed a Chenda Melam for everyone. Seraphim thirumeni inaugurated this performance with a brief message on the purpose of chendas. He taught us that in olden days, before the days of microphones and speaker systems, chendas were used to announce things of importance by kings or other public figures. 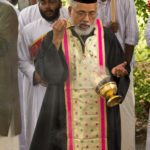 It is a part of the traditional Kerala culture that our malayalee faithful participate in. He also told us that while some may choose to separate culture and religion, it is wrong and we should intertwine the two. 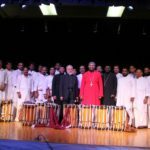 He was very supportive of the members of the Chenda group encouraging them to continue using their talents to bring glory to the Kingdom of God. The performance was greatly enjoyed by all. 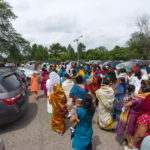 A special thank you goes out to all of the organizers and members of the St. Thomas Chenda group. To end the night, fireworks were launched into the sky and children enjoyed playing with sparklers. Despite the light rain, the beautiful colors lighting up the sky were still a great way to end the celebratory evening. 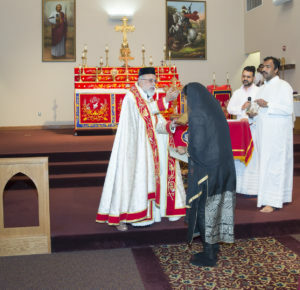 On Sunday, July 7th, festivities continued with Holy Qurbana celebrated by His Grace Dr. Abraham Mar Seraphim, followed by a rasa. 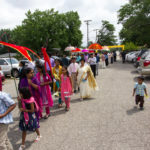 All members of the congregation participated in this colorful parade including around the church. 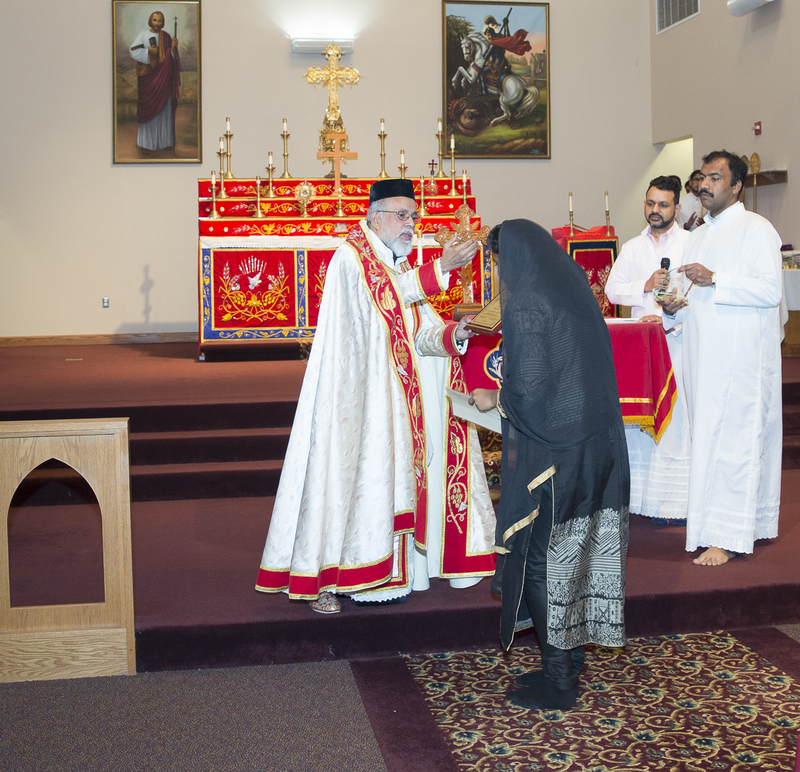 Upon return to the church, members that are 70 years of age and above were honored with a special ceremony. 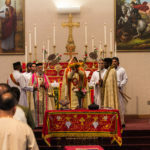 It was a first for the church, but hopefully remains a tradition for years to come. These members were the foundation of St. Thomas, Warren and their hard work and dedication to the church is truly appreciated. The members honored include: Mr. John Panicker, Mr. Mathew Panicker, Mr. Chacko Abraham, Mr. Stephen Kuruvilla, Mr. George Thomas, Mrs. Gracy Thomas, Mrs. Ammini Yesudas, Mrs. Aleyamma Parekh, Mr. James Parekh, Mr. Samuel Mathew Sr. In addition, following people were honored this year, but weren’t able to attend the event: Dr. Jacob Ninan, Mr. Mangalasseril Allan, Mr. P.J. Thomas, Mrs. Leelamma John, Mrs. Gracy Philip, Mrs. Annamma Panicker. Thirumeni adorned each honorable member with a special Ponnada and Rev. Fr. Philip Jacob gifted each individual with a small memento as a token of our appreciation. Thank you once again to each of these members for the years of prayers, love and hard work to the church. 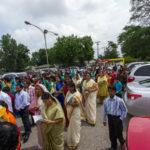 The weekend ended with a great luncheon for all followed the annual anniversary of spiritual organizations. The high school graduates of 2013 were also honored. Congratulations to the following individuals for the accomplishments and best wishes for the future endeavors: Mr. Bevin Thomas, Mr. Jeffin Panicker, Ms. Jissa Mathew, Ms. Angela Varghese and Mr. Kenny Manoj. All glory to God for a blessed and memorable weekend. 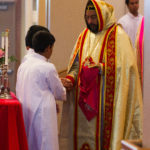 Special thank you to His Grace Dr. Abraham Mar Seraphim for presiding over the events of the weekend, Rev. Fr. Philip Jacob, Rev. Fr. 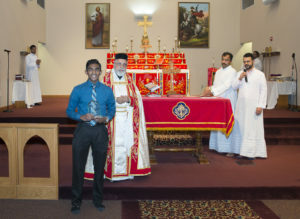 James Cheriyan, all managing committee member s and all those who prayed and helped out for the success of the weekend. 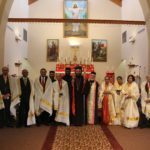 A special gratitude to Rev. Dn. Anoop Thomas who was with us through out all the festivities. It is with deep regret, I would like to inform you about the passing away of Mr. V.O. Idiculla (73) in India. Mr. V.O. Idiculla is the brother of Mr. Oommen Varapadathu Sr., Mr. V.I Zachariah, Mr. Oommen Idiculla & Mr. V.I Chandy.